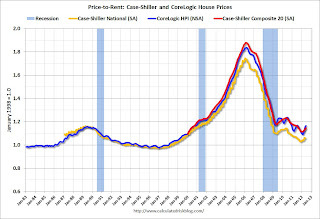 Case-Shiller reported the first year-over-year (YoY) gain in their house price indexes since 2010 - and the increase back in 2010 was related to the housing tax credit. Excluding the tax credit, this is the first YoY increase since 2006. The YoY increase in June suggests that house prices probably bottomed earlier this year (the YoY change lags the turning point for prices). Since there is a seasonal pattern for house prices, we should expect the month-over-month change to turn negative later this year (probably in the report for August or September). The key will be to watch the YoY change and also compare to the seasonal lows in March 2012. 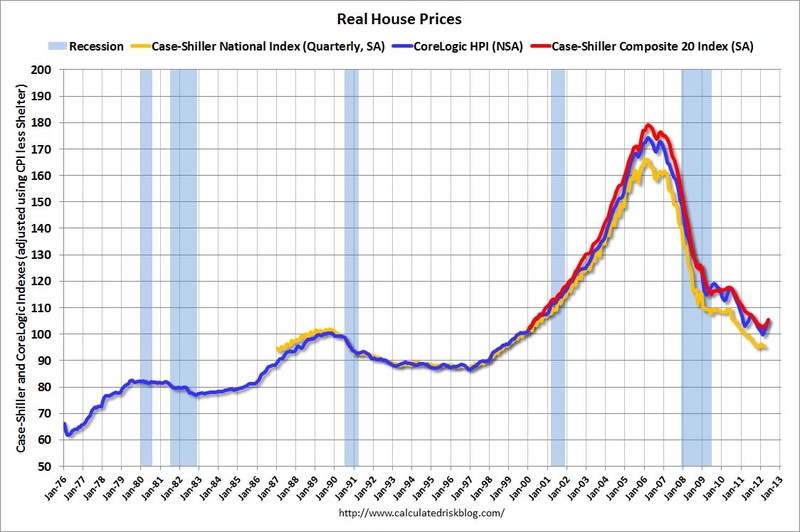 In June, the Case-Shiller Composite 20 index Not Seasonally Adjusted (NSA) was 6.0% above the March 2012 low. No one should expect the strong price increases to continue. The Case-Shiller Composite 20 index NSA was up 2.3% in June from May. However a large portion of that increase was seasonal. On a Seasonally Adjusted (SA) basis, the Composite 20 index was up 0.9%. That is a 11% annualized rate - and that will not continue. I suspect much of the increase over the last few months was a "bounce off the bottom" and I don't expect prices to increase at this pace. 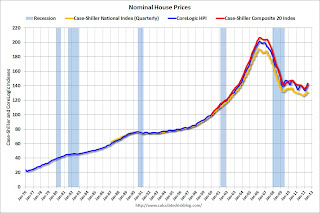 The first graph shows the quarterly Case-Shiller National Index SA (through Q2 2012), and the monthly Case-Shiller Composite 20 SA and CoreLogic House Price Indexes (through June) in nominal terms as reported. 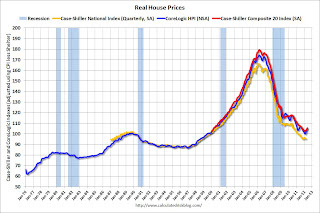 In nominal terms, the Case-Shiller National index (SA) is back to Q1 2003 levels (and also back up to Q4 2010), and the Case-Shiller Composite 20 Index (SA) is back to July 2003 levels, and the CoreLogic index (NSA) is back to November 2003. In real terms, the National index is back to mid-1999 levels, the Composite 20 index is back to June 2000, and the CoreLogic index back to October 2000. 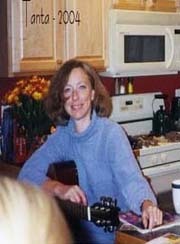 As we've discussed before, in real terms, all of the appreciation early in the last decade is still gone. 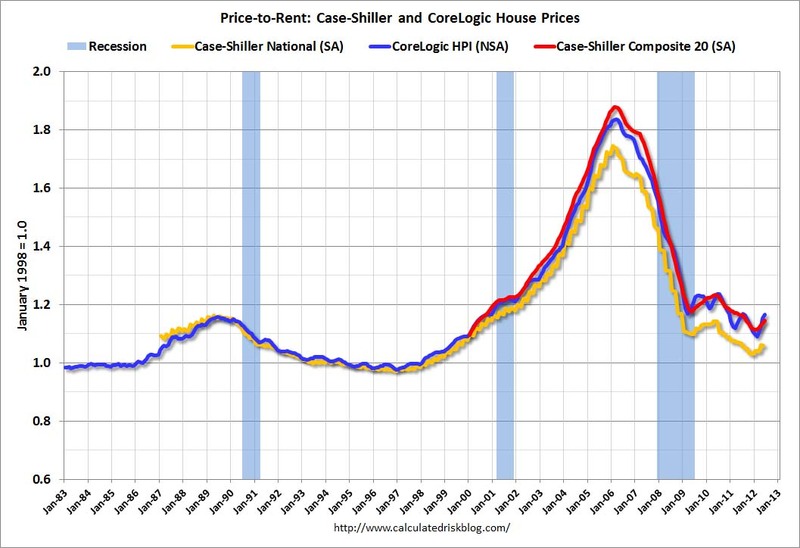 On a price-to-rent basis, the Case-Shiller National index is back to Q3 1999 levels, the Composite 20 index is back to June 2000 levels, and the CoreLogic index is back to August 2000.